SkySafari Aircraft provide top-quality experiences and high-class personal service – both central to SkySafari’s concept of the ultimate African adventure. There is no better example of SkySafari Aircraft than SkySafari’s very own executive-class Cessna Grand Caravan – currently the only aircraft of its kind flying in East Africa. Fitted with bespoke leather seating – a total of 8 seats in all – the interior configuration provides maximum comfort whilst offering excellent viewing opportunities during each of the flights along the SkySafari route. With ‘fast track’ check-in, experienced professional pilots and a warm and friendly service at each point of the journey, SkySafari’s executive air service provides that extra special touch, one that has made SkySafari known as the premier African safari experience. 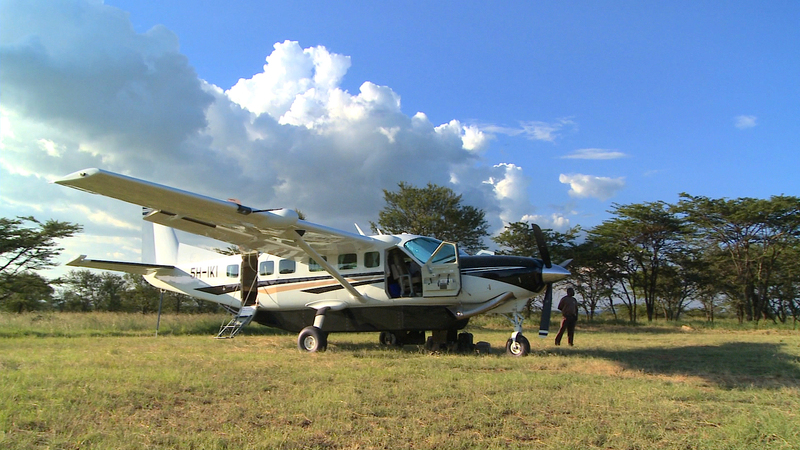 SkySafari gives the highest priority to the safety and security of its guests and passengers. This ‘no compromise’ approach requires that, from time-to-time, scheduled and unscheduled maintenance of the SkySafari Grand Caravan needs to be made to ensure SkySafari’s proud safety record. Capacity : nine passengers in individual bespoke leather seating. Should the Skysafari executive aircraft be taken ‘offline’, alternative air transportation will of course be provided. However it is important to note that, as the SkySafari aircraft is one of a kind in East Africa, any replacement aircraft provided may differ in its interior design, seating design and configuration from that of SkySafari’s executive class aircraft.